Throwing an eco-friendly wedding is an inspiring and unconventional approach to celebrating a very special day whilst sharing your love for the environment. Deciding to go eco doesn’t mean you have to cut down on stylishness. In fact you’ll find many different venues and suppliers who have embraced the ethical approach to wedding planning in order to help our planet, so you won’t be short of fresh ideas! 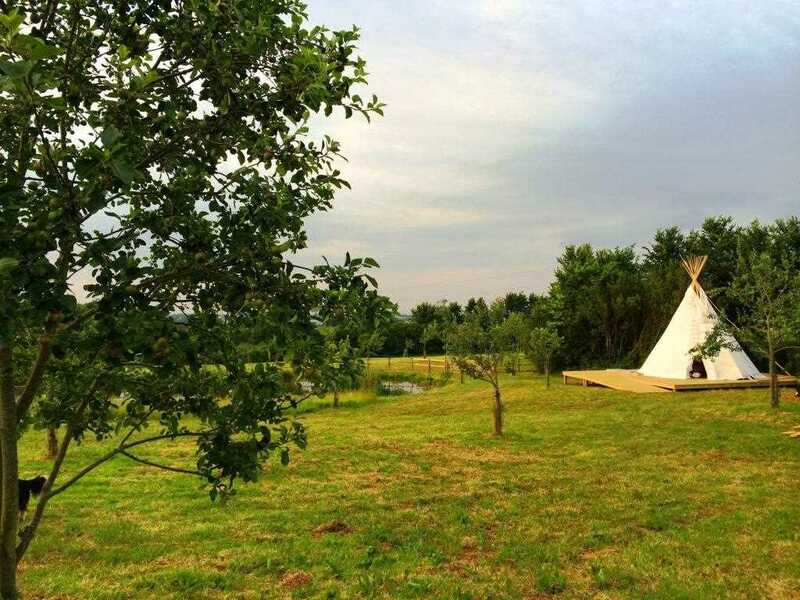 You’ll find all manner of eco-friendly venue types, from country houses to farms, barns and gardens. The Green Cornwall is a lakeside estate comprising of a house and barn set in the Cornish countryside. There are many options when it comes to throwing your ceremony, including a romantic location beneath the trees or an intimate indoor celebration overlooking the quaint countryside. Winford Manor near Bristol is set amidst beautiful grounds and offers plenty of gorgeous civil ceremony spaces including The Atrium, The Garden and Drawing rooms and the garden gazebo. 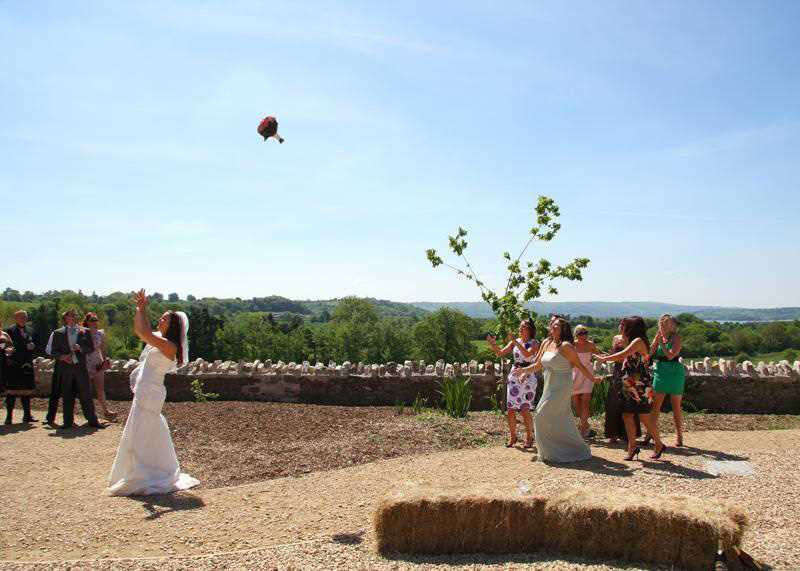 A barn or farm makes a great ecological wedding option such as Hunstile Organic Farm, where you can make the most of the English Countryside by relaxing amongst the rolling hills of Somerset whilst tasting delicious organic produce. 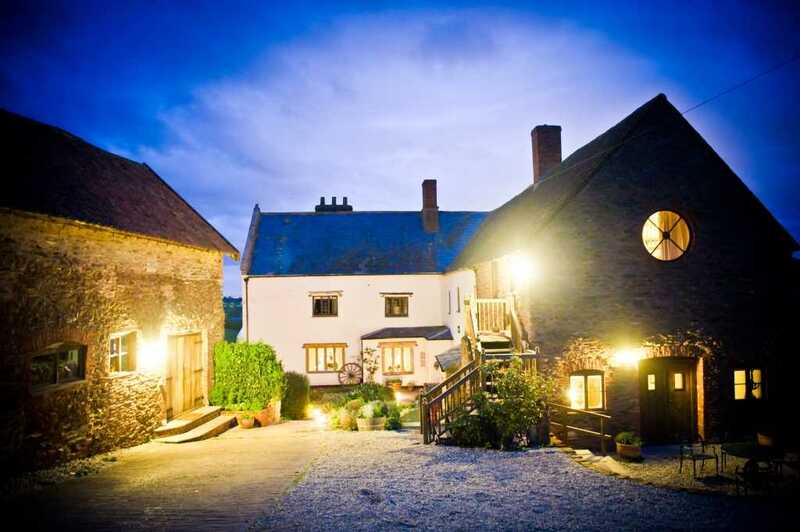 Middle Coombe Farm is set deep within the glorious Devon countryside. 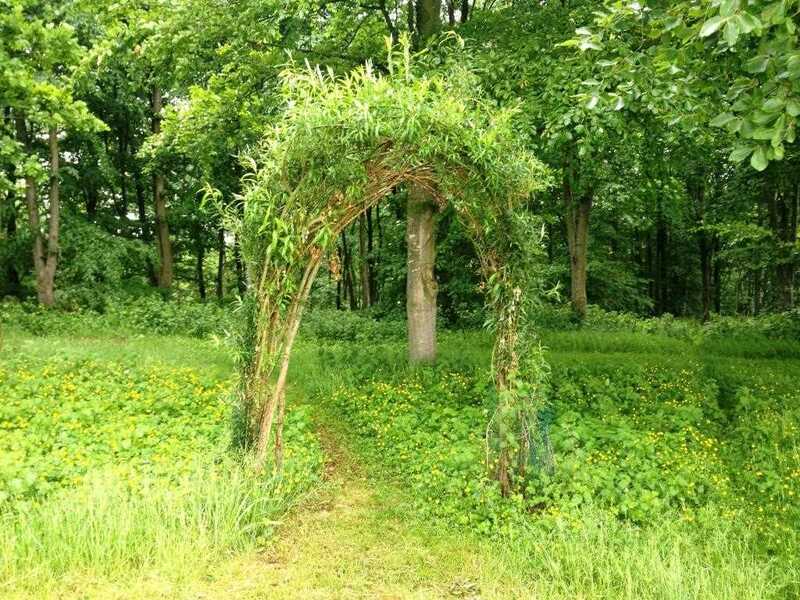 If you wish to enjoy the natural beautiful of the area then an outdoor woodland or stone circle field ceremony awaits you. The venue offers fabulous rural touches including a rustic wooden cider bar. 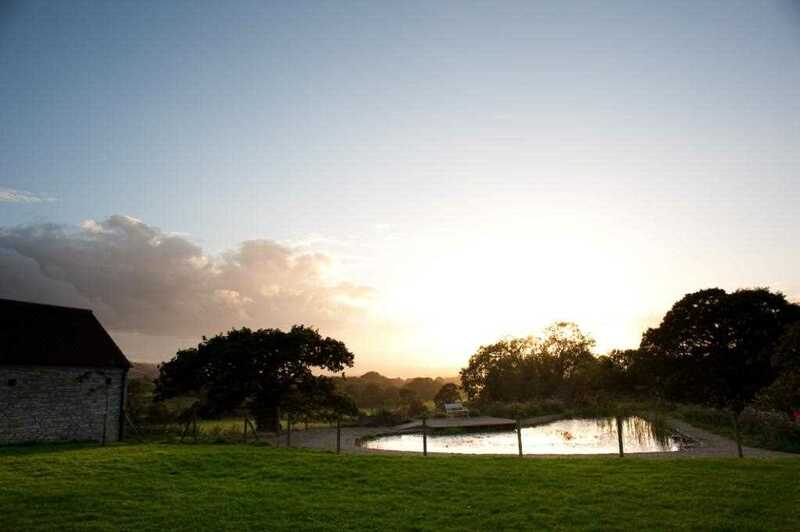 Or why not opt for an unspoilt nature reserve like the award-winning Folly Farm near Bristol. Its beautiful rural location makes it an ideal spot to enjoy fresh and seasonal produce during a mouth-watering wedding dinner. 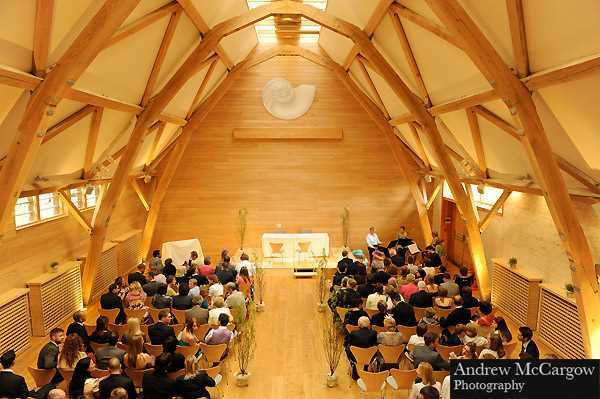 Sheepdrove Eco Conference Centre is an eco-friendly working organic farm situated in an Area of Outstanding Natural Beauty, which offers exclusive wedding venue hire. Their produce comes directly from the farm so you’re guaranteed healthy, fresh and delicious tasting food. Choose from gardens including the idyllic riverside Gants Mill and Gardens whose enchanting wedding venue is available for exclusive hire and creates a stunning backdrop for your wedding photographs. 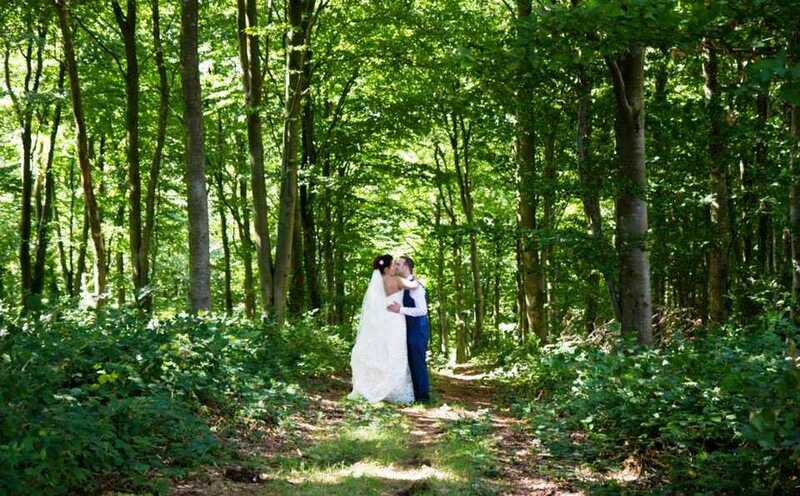 Or opt for a sustainable venue such as the naturally inspiring The Pines Calyx, an award-winning ecological wedding venue surrounded by stunning gardens and situated close to the seaside. 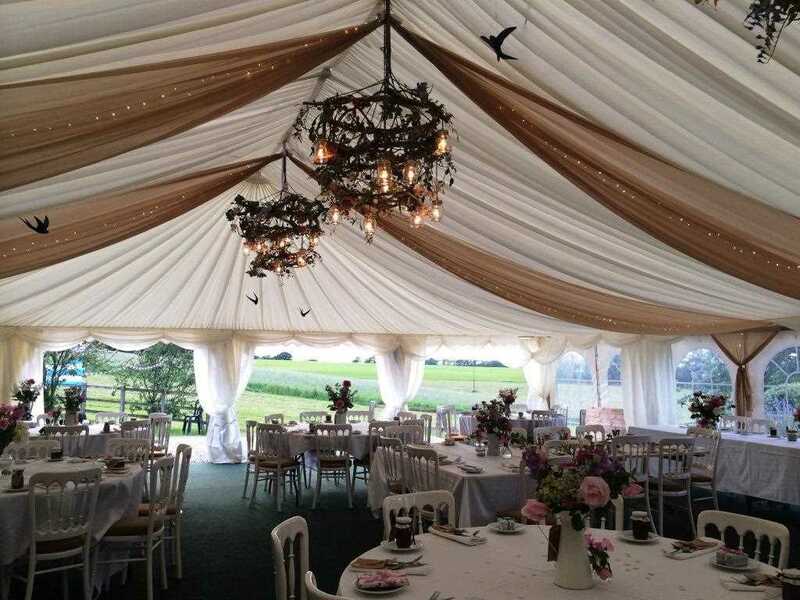 Many of our venues are fully flexible and can adapt to suit your needs, whether you choose to get married inside or outdoors or wish to bring your own caterers. You can even choose to have a relaxed beach wedding through companies like Beach Weddings Bournemouth who can arrange everything from the ceremony to the reception, including the marquee and the food! When it comes to planning your earth-friendly wedding you can choose how ecological you want your special day to be, whether you wish to make a small green change like using recycled paper or online invites for your wedding invitations, to deciding to throw a complete eco-logical wedding sourcing organic food, clothing, decor and flowers – the whole shebang! Those all-important embellishments that help to create the perfect ambience on your wedding day can all be sourced ecologically from a huge range of suppliers who provide everything from fair-trade flowers to recycled wedding invitations for that rustic effect. The Bride’s Table offers some gorgeous decorative products, from recycled bunting and table runners to invitations and wedding favours. Bouquets and Butterflies use locally grown eco-friendly flowers for all kinds of wedding décor, from the bouquet to the table centre-pieces. You’ll also find wedding dresses made from some gorgeous organic, fair-trade material that is both stylish and sustainable. With naturally dyed, hand-woven and recycled fabrics you’ll look beautifully elegant whilst helping your environment, so you’ll feel truly fabulous as you walk down the aisle! Suppliers such as Tammam and Minna demonstrate the exquisite bridal wear options available and the great news is they will be all too happy to custom make your dresses or make alterations to readymade designs. A popular ecological option is to choose organic wedding caterers. Suppliers like eco chef Tom Hunt and team have an environmentally friendly approach to food, cooking with fresh locally sourced ingredients to create vibrant, flavoursome and unforgettable dishes. Alexandra’s Kitchen are another fine example of organic food using fresh, seasonal and home-grown produce. All catering teams will work with you to provide culinary advice, discuss menu options and tailor your meal towards your needs. You may also wish to choose an organic wedding cake for your special day, in which case you’ll find an extensive list of suppliers who will cater to your needs. Many of our suppliers use fair trade ingredients, natural flavourings and home grown products including edible flowers! Yum! The Organic Wedding Cake Company provide deliciously tasting organic cakes that will blow you away, whilst also specialising in catering for dietary requirements including gluten free options. When choosing your wedding photographer it’s important to pick the right person for you. Luckily you’ll find a large choice of photographers here at chooseyourwedding, each with their own unique style, from fun and creative to vintage and cinematic. Claire Penn Photography provides a great example of the eco-friendly approach to capturing your intimate day using recycled goods and rechargeable batteries to help sustain the environment. You can ensure that you continue to help protect the planet by using an environmentally friendly means of transport on your big day. Choose from a fairy-tale like traditional horse drawn carriage provided by companies such as Prestige Carriages for an elegant arrival. You can decorate your carriage with bunting and flowers and even have the option of champagne for the ride! 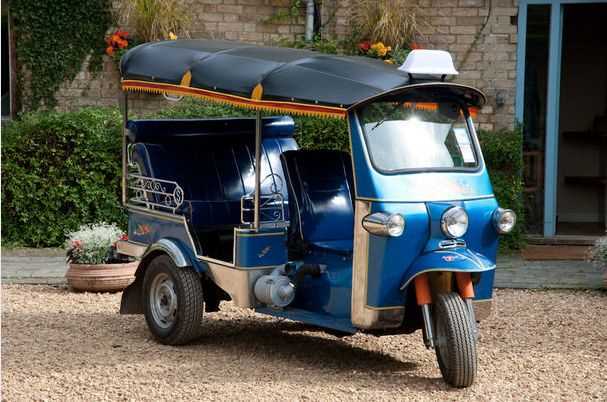 Or why not hire a wedding car provided by eco-friendly companies like Chelsea Classic Carriage Company Ltd whose cars run on LPG bio-fuels whilst offering a vintage and sophisticated mode of transport. Take a look at our exciting selection of ecological suppliers below to start planning your green wedding today.